Pilipinas Taj Autogroup, Inc. (PTAJ), the exclusive distributor Tata Motors, turned over eleven (11) units of Ace utility vehicle to the City of San Fernando, La Union last November. Present during the ceremonial turnover were PTAJ President Mr. Jon Fernandez, Jr., Sales and Marketing Division Head, Mr. Rico Macalintal, Technical and Engineering Division Head, Engr. Ramil Mendoza, City of San Fernando, La Union Mayor Hermenegildo A. Gualberto, and Vice Mayor Alfredo Pablo R. Ortega, together with eleven of their barangay officials. 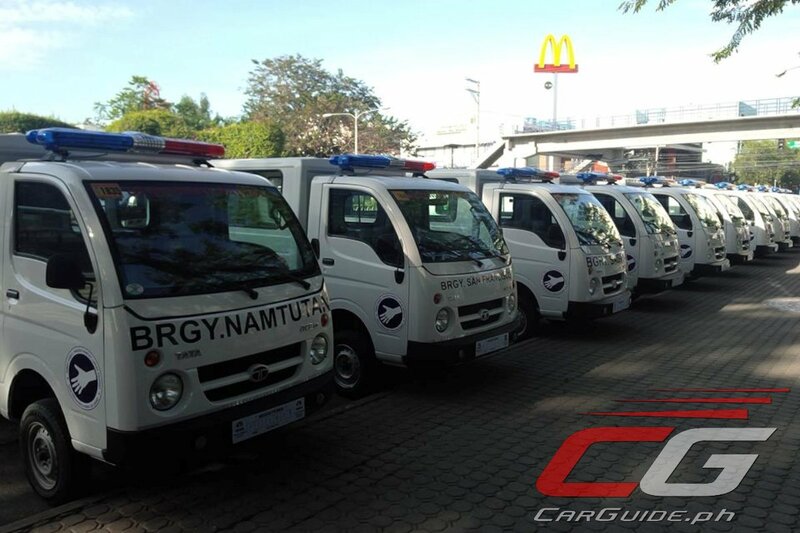 “The Ace has been the vehicle of choice by Philippine LGU’s because of its proven durability and reliability. Not to mention that the Ace is also affordable in terms of vehicle price, operation, and maintenance. The Tata Motors Ace is truly a value-for-money vehicle for the Filipinos,” shared Mr. Fernandez. The rear bodies fitted in the Ace units were provided by Centro Manufacturing. The Tata Motors Ace is equipped with a powerful, yet fuel-efficient 702-cc normally-aspirated diesel engine mated to a 4-speed manual gearbox. This small mini-truck can carry 14 full size Filipinos (including driver) in a multi-purpose rear body configuration.